How about creating a website from scratch with HTML and CSS? It’s an option, but it also takes too much time – not to mention effort. What’s so different about Slides? Read on. 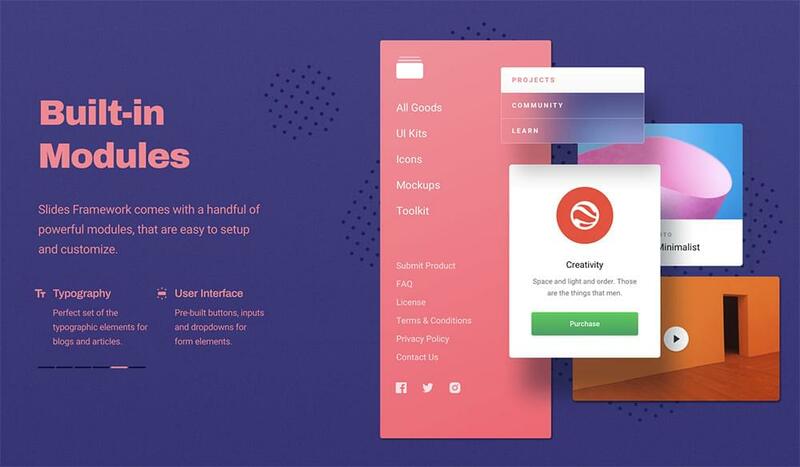 Slides is an advanced static website builder that is easy to use. 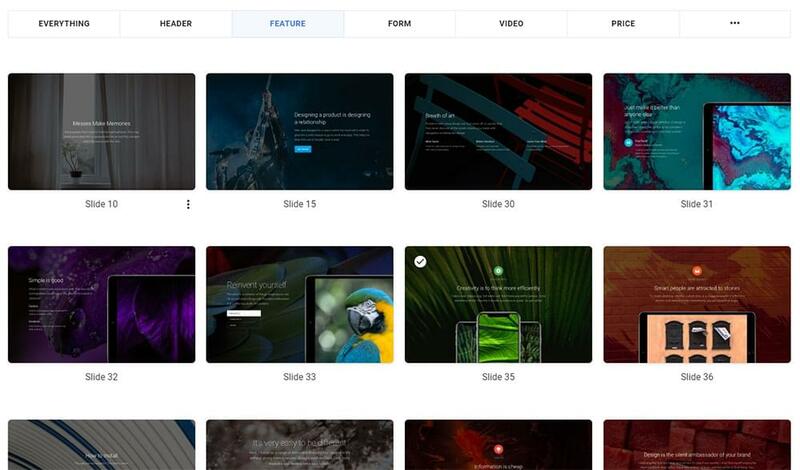 It’s unique in the sense that it’s unlike any website builder you’ve likely used before. 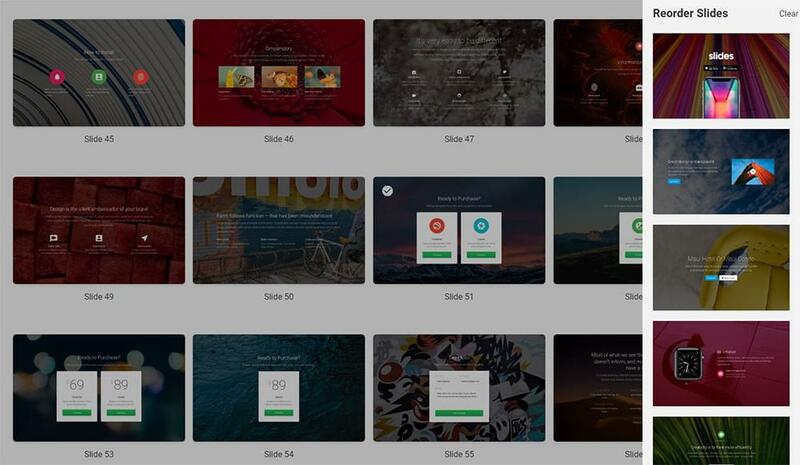 Slides lets you customize your design as you’re creating it. When you have the design you want, you can customize it even further if you wish. It’s simply a matter of selecting slides you want to use. Then, you can add panels, features, and settings, and download the result. Do you have additional customizations in mind? It’s simply a matter of opening the HTML file and using your favorite code editor. 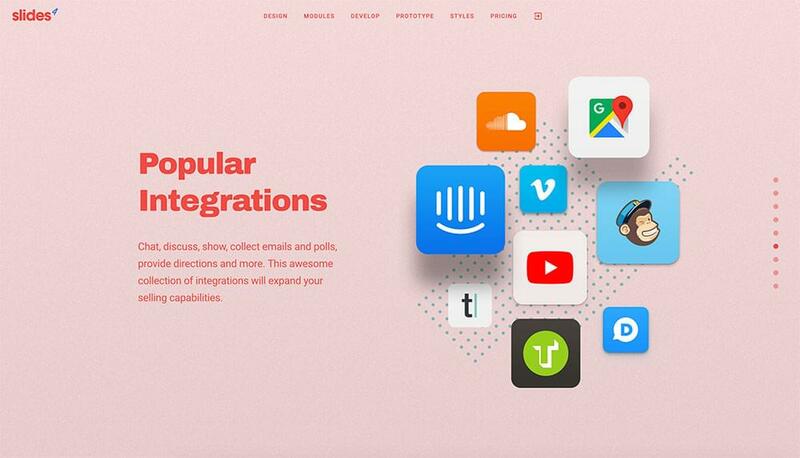 You can add features you or your client might want. Powerful modules. Modules that are easy to set up and customize contribute to making page-building a quick and easy task. The Slides Framework’s handful of powerful modules do just that. Development made easy. Development becomes a much easier task when you’re not starting from scratch. All the important stuff has already been built and is ready for you to customize to fit your needs. Everything starts with the Generator. It is an intuitively-designed tool that will save you hours of work. Although the Generator is easy to work with, you’ll find the links to its manual. You can also see some sample solutions, and templates that are helpful in getting started. In any event, you’ll be building pages and websites like a pro before you know it. This will allow you to duplicate, delete, and change a slide’s style to minimalistic. Alternatively, you can drag and drop them to change the order. The slides are great, but not necessarily complete. What’s missing is animation. Animation can transform a quality website into one that is truly outstanding. While every slide has a default animation, you can change it by simply clicking on a style you’d prefer to use. Choosing one of many available header panels is the first thing you need to do. Simply copy its code and add it in the HTML if you wish. The same applies to the footer panel. Select what you want, select its settings, and you’re good to go. Choosing navigation. There are various ways you can help users navigate through the slides. Maybe your website doesn’t require any special navigation features at all. But if it does, you can choose dots or arrows as navigation aids. Setting styles. 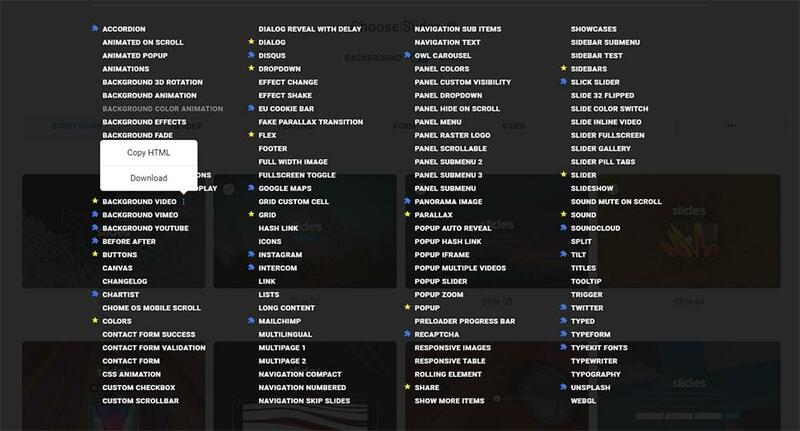 This feature allows you to choose from a selection of pre-defined typography styles. It makes customizing a website to match a client’s branding guidelines an easy task. One final task: downloading the HTML template. Before uploading the template you’ve designed onto the live website, you’ll want to download it. Add whatever specific images or colors your client wants – and you’re done! The best reason for trying Slides should be obvious once we’ve summed up what’s been discussed. Slides is quick and easy to use. It’s quicker than WordPress in terms of loading speed and much quicker than writing HTML/CSS from scratch. No PHP, no databases, or server dependencies to worry about; you don’t need them. There’s a great selection of beautiful, customizable slides to use. All in all, the Slides framework is a great resource to have at your fingertips. This is whether you’re a designer, a developer, or an expert in both disciplines. You can always expect to get attractive designs and clean code. Enjoy building amazing websites for your clients with Slides.